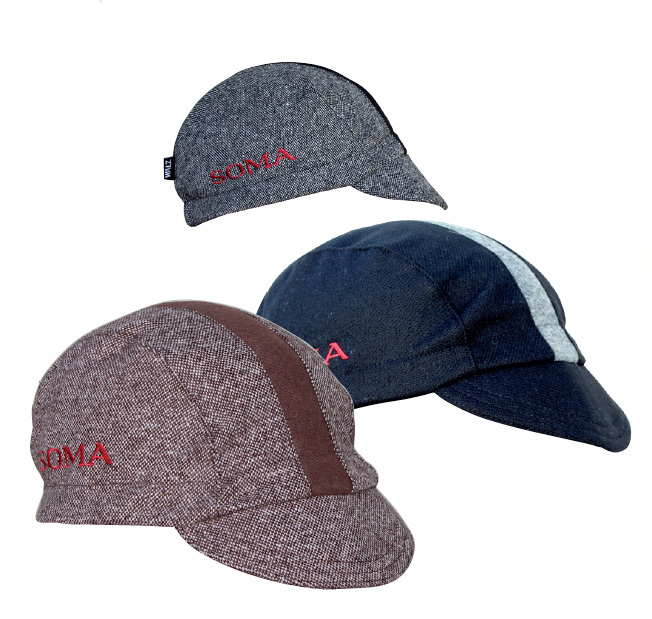 Wool three-panel cycling cap made in the USA by Walz. In two sizes. Gray tweed, brown tweed or black. 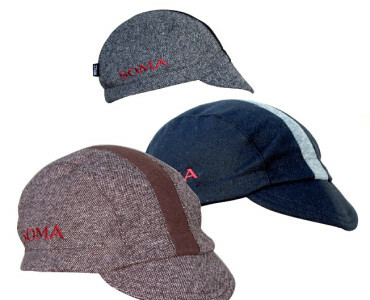 Embroidered Soma logo on right side.